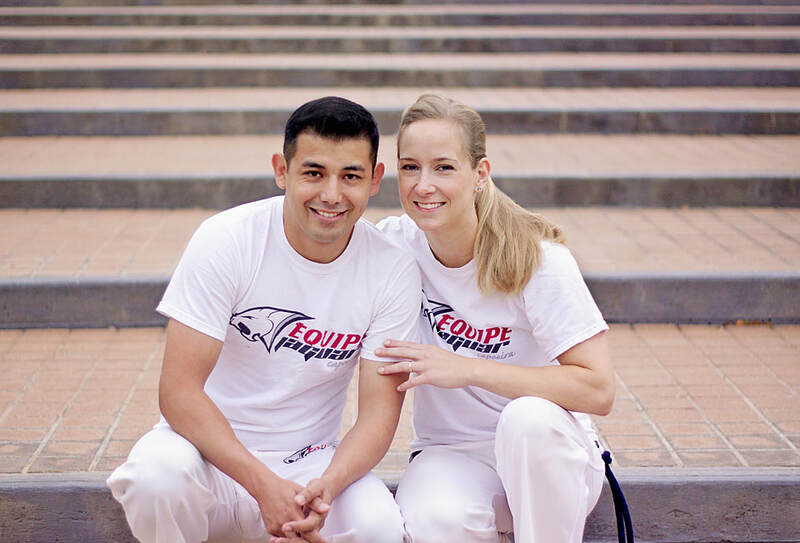 Jaguar & Angora are husband and wife capoeira instructors in Spring, TX. Together they run Jaguar Gym conveniently located on FM 2920 near Kuykendahl. If you live in the greater Spring area, we encourage you to come out and see one of our capoeira demonstrations, or better yet, come and stay for a class. Born in Mexico city, Roberto Huerta (Jaguar) became involved in the martial arts at an early age. 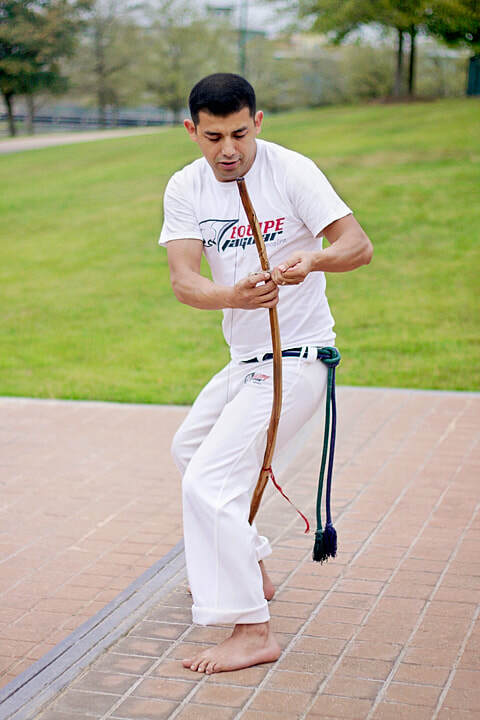 He began his capoeira training in 1996 and was responsible for the first organized classes of capoeira regional in Houston. After spending 10 years studying with his Mestre, Jaguar began developing his own work in the Spring/Woodlands area. Roberto brings passion and energy into his classes with a strong belief that a strong foundation is what makes a good capoeirista. While Jaguar strives to preserve capoeira’s rich heritage in his school, his aim is to enrich and balance the lives of all who train under him. Jaguar has taught capoeira programs, intensive classes and workshops in over a dozen HISD Schools and in such places as TX A&M, The University Of Colorado In Boulder, St Thomas University and in Honolulu Hawaii. Julie Huerta (Angora) was born and raised in the Houston area, graduated from Klein Forest High School and has an engineering degree from Trinity University. Angora teaches children’s and beginners capoeira and helps lead advanced capoeira and Brazil Fit classes at the gym. She also created and teaches our World Dance class offered bi-monthly on Saturdays. She has extensive experience in acrobatic sports with 7 years in gymnastics and 8 years as a pole vaulter in high school and college. Angora began capoeira classes in 2006 where she met Jaguar and they began dating 2 years later. She supported Jaguar fully in starting his own work in 2009 and has been a key contributor in building Equipe Jaguar Capoeira Houston,TX. Jaguar and Angora were married in 2011. By day Angora is a civil engineer for the City of Houston water department. She loves her work as a public servant providing water to the City and many of its surrounding areas.